Unlisted biotech start-up, Inflazome, which was founded on research from the University of Queensland and Trinity College Dublin in Ireland, has secured further investment of $63 million to continue its drug development program. Launched in 2016, Inflazome is developing new drugs to block harmful inflammation, with this new round of Series B financing to be used to advance the company’s small-molecule inhibitors of the NLRP3 inflammasome to multiple clinical trials in 2019. Inflazome is just one of many Australian companies that is at the forefront of biotech research. In fact, Australia has a burgeoning biotech sector, soundly supported by government policy. On top of R&D incentives, there is also the A$500 million government-initiated Biomedical Translation Fund (BTF). The fund is split between $250 million of Commonwealth capital and $251.25 million private sector capital, and supports commercialisation of biomedical discoveries in Australia. 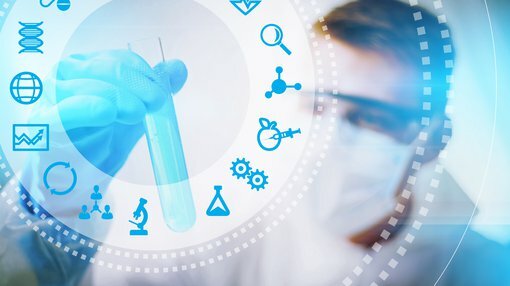 It also helps translate biomedical discoveries into high growth potential companies to deliver long-term health benefits and national economic outcomes. Funding is available through three private sector venture capital (VC) fund managers, which are investing in companies with promising biomedical innovations with commercial potential. Like Inflazome. Or Prescient Therapeutics (ASX:PTX), Immuron (ASX:IMC), Imugene (ASX:IMU), and others. Australia has a history of support in this field. "Biotechnology is a unique sector for the country and there are good reasons why it should be fostered through forward-looking government policy. For more than 100 years, there has been successive government policy focused on funding innovative medical research which has made Australia one of a handful of countries globally producing the very best medical research — Australia is routinely ranked in the top four countries in the world for our biotechnology capabilities. "This strong foundation of excellence, combined with the ease with which clinical trials can be conducted, strong patient and regulatory laws and increasing access to capital, uniquely provide Australia with a generational chance to supercharge this already important industry." Given this level of support, it is unsurprising that the Australian biotech industrycould reach $8 billion in revenue this year. The Capital Network’s Lelde Smits spoke with Botanix Pharmaceuticals (ASX:BOT) founder and Executive Director, Matthew Callahan, about the opportunities in this sector. Australia is a top 5 global biotech economy. Inflazome is one company that is currently supercharging the industry. The work it is doing in chronic activation of NLRP3 is linked to various medical conditions associated with inflammation, including Alzheimer’s, Parkinson’s, inflammatory bowel disease (IBD), gout, osteoarthritis, liver, kidney and cardiovascular diseases – conditions often inadequately treated by current therapies. Funding for Inflazome was welcomed by UQ Vice-Chancellor and President Professor, Peter Høj. Inflazome was founded on intellectual property licensed by UQ’s commercialisation company, UniQuest, based on work by researchers from UQ’s Institute for Molecular Bioscience (IMB) and Trinity College Dublin, including IMB’s Professor Matt Cooper, who is also the company’s CEO. “We look forward to generating robust human proof of concept data with this financing, and making further progress towards developing a treatment to help millions of patients who are suffering with inflammatory diseases,” Cooper said. You can read more about NLRP3 inflammasome here. The financing round was led by life sciences venture capital firm, Forbion, with Longitude Capital and founding investors Novartis Venture Fund and Fountain Healthcare Partners also participating.